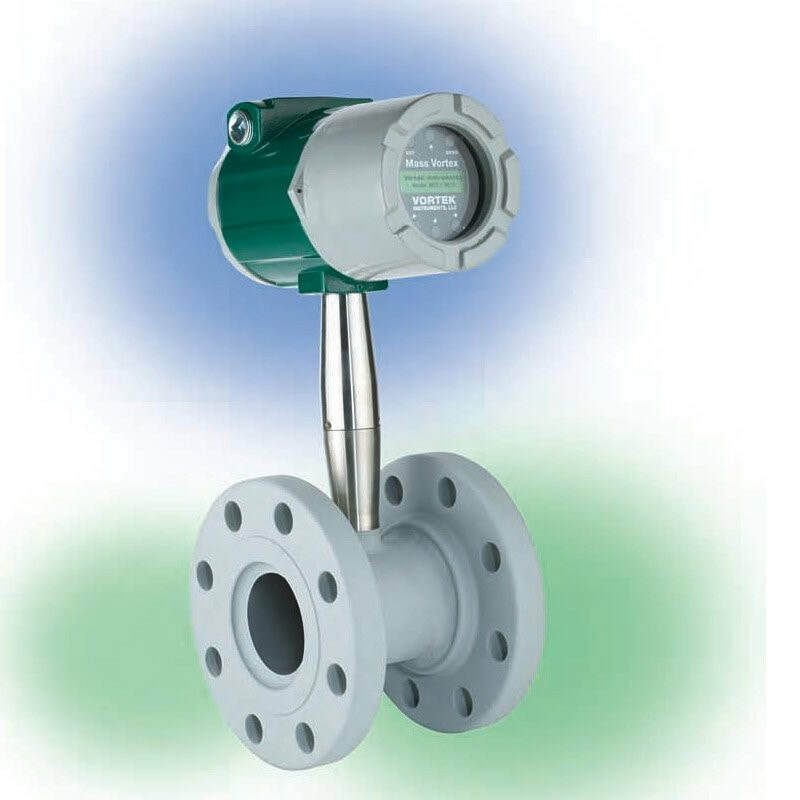 Pro-V™ multivariable flowmeters utilize three primary sensing elements–a vortex shedding velocity sensor, an RTD temperature sensor, and a solidstate pressure transducer–to measure the mass flow rate of gases, liquids and steam. Systems that use external process measurements to calculate mass flow may not provide adequate compensation for the fact that process conditions can change radically between the point of velocity measurement and the point where upstream or downstream pressure and temperature measurements are being made. Because the Pro-V™ multivariable flowmeter measures all of these parameters in a single location, it delivers a more accurate process measurement. Integrating multivariable output capability with a single line penetration also simplifies system complexity and helps reduce initial equipment cost, installation cost and maintenance costs. The product line is available with a wide range of options and meter configurations to meet your specific application requirements. A series of precision multivariable in-line vortex flow meters utilising three primary sensing elements: a vortex shedding velocity sensor, an RTD temperature sensor, and a solid-state pressure transducer to measure the mass flow rate of liquids, gases and steam in commercial, industrial and municipal applications.